Late for Reality: I'm off to The Baby Show! *INCLUDES DISCOUNT CODE! I'm off to The Baby Show! *INCLUDES DISCOUNT CODE! Last year I attended my very first baby exhibition. 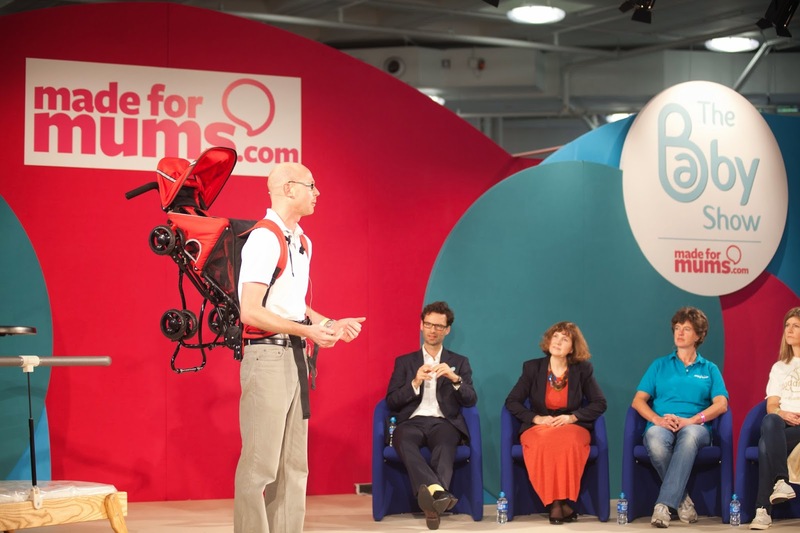 The Baby Show in London Olympia was fantastic, I was invited along by the wonderful OXO who I have reviewed for a few times. I was able to meet the Cuddledry team who I am a Super Blogger for and lots of other brilliant companies along the way! Here I am enjoying a rest at the Stokke stand, the giant furniture was so much fun. I am very excited to have received press passes for The Baby Show Birmingham on 16th May where I am meeting up with some more great brands and some of my blogging friends. It is such a great opportunity to network and shop for some new bits for Ted while I am there. I am taking my friend along as last time we went she was heavily pregnant and had been confined to a wheelchair, we also dragged the Dads along who really didn't embrace the experience so this time its Mummy and Babies day and we are very excited! Just click here and enter the code BLOG to redeem your discount! I went to the baby show when I was pregnant and it always makes me feel a little nostalgic and broody if I'm honest! Might have to get a couple of tickets for me and my pregnant best buddy this time.